Did you know that simply drinking more water can repel and even treat Alzheimer’s disease? Drinking water flushes your system, and regulates a healthy digestive tract. Water promotes heart health and a strong circulatory system. Your body is roughly 60% water, and uses up some of your water supply each day. That water has to be replaced. The problem is, you probably are not drinking enough. 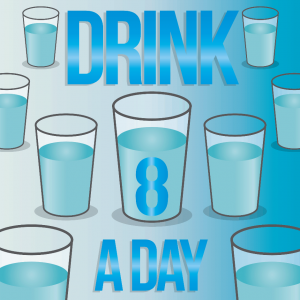 The average adult needs to drink at least 1 gallon of water each and every day for optimal health. Practice the following 5 simple tricks to help you drink more water on a daily basis, and your health will see a positive boost. Human beings are great goal setters and achievers. If you just think about drinking more water in the back of your mind, you may be successful, or you may not. However, if you write down a specific goal for daily water consumption you program the habit-forming part of your brain to increase your water intake, I bought a 33 oz bottle of Clear American Sparking Water from Wal-Mart and I make sure that I drink two of those a day. Keep gallons or liters of fresh water on hand at all times. 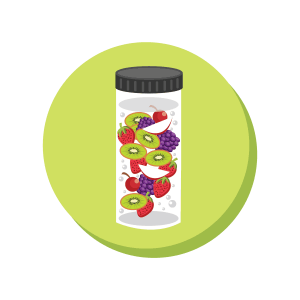 Store some in your refrigerator for a cool and refreshing zero calorie treat that also helps fight hunger pangs. Keep bottled water at your job, in your vehicle, at home and in your backpack when you are on the go. The more water available, the more likely you are to drink this healthy beverage rather than an unhealthy, sugar-filled and processed alternative. It seems there is an application for just about anything. This includes apps like Daily Water, iDrated, Waterlogged and Eight Glasses a Day. They make it easy to track your water consumption on a daily basis, and range from free to just $.99 per download. Why not pop some blueberries, cucumbers, strawberries, limes or orange slices into your water? When you are done drinking, you enjoy a healthy fruit or vegetable snack. You can also add your favorite herbs for a wonderful aroma while you hydrate yourself naturally. Buying unique container will motivate me to drink more water.